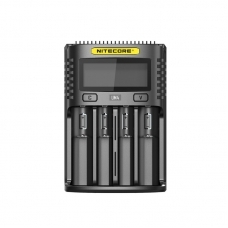 The Nitecore UM4 Charger is a four-slot smart charger that will quickly charge batteries of varying chemistries and sizes efficiently. With a single slot max output of 1,500mA, it is possible to charge up to 80% of a 3,500mAh battery in 2 hours - you will always have batteries to use that are charged without losing any power to overheating or overcharging. Not to mention, with the four-slots, this charger is able to charge all four batteries independently from each other and you can control the batteries charging modes on the built-in LCD screen. 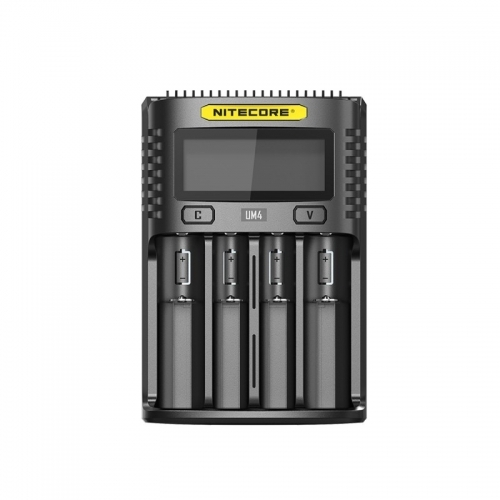 The Nitcore UM4 Charger has a specially optimized charging program for IMR batteries. The program ensures the cut-off voltage is within safe limits and, unlike chargers without these capabilities, the UM4 will extend the lifespan of the batteries.